International Dancehall superstar Kranium is pleased with the progress of his career thus far. 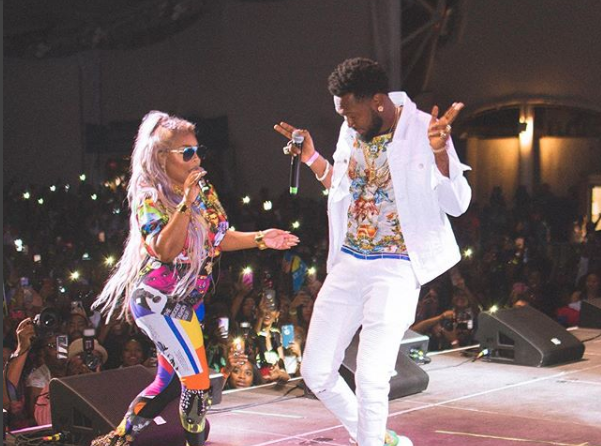 According to the “No Odda” deejay, he is pleased with the trajectory of his career thus far as he recently attained the feat of reaching more than 200 million streams across music platforms. Despite a significant change in how music is consumed the deejay says he has managed to enjoy significant success through streaming platforms. He added that hits come in different forms and are not always reflected on chart success. Kranium revealed that he is particularly pleased with the streaming success of his single “Can’t Believe,” which features American rapper Ty Dolla $ign and Nigerian act WizKid. The single which is Produced by ZJ Liquid and H2O Records, was released in May last year and has racked up over 6 million views for its official video, while an accompanying dance video gained over 34 million views. “It a gwaan good,” he said. “So I’m doing amazing. I’m doing wonderful… and I’m still around,” the deejay said. The Atlantic Records signed artiste has been having a solid year after releasing several new singles including “Last Night” and “No Odda.” He was recently crowned champion along with his Frequent Flyers Crew for winning the Red Bull Culture Clash in Atlanta, Georgia. Kranium, whose real name is Kemar Donaldson, was originally born in Montego Bay, Jamaica but migrated to the United States in 2005.